"Anyone can work you out and make you sore in order to make it feel like you got something out of the workout." The sentiment is one that we feel strongly about at TAT and Clinically Pressed. There are so many big box gyms and varying forms of 'specialized' workouts that want to make you feel like you are getting something done and they accomplish that by coming up with flashy and often times impossible workouts. Within these different gyms there can be a lot of variety and we don't believe that any one particular form of training is inherently bad but we do believe it is important in how the workouts are implemented. Coaches and trainers need to be cognizant about who they are working with and make the workout fit the client/athlete and not make the athlete fit the workout. People are at all stages when it comes to getting involved with fitness and if you don't take that into consideration things can get bad, quickly. That is the focus of this article, what can go wrong and how you can avoid it when it comes to getting back into workout. Delayed Onset Muscle Soreness (DOMS): This is common when you start working out again or when you change up your work outs to try something a little bit new. For some it can be a badge of honor and they enjoy that feeling as it makes them feel they got something done. While that soreness can range from slight to extreme, it is on the extreme end that you can really start having some problems. If it gets so bad that you aren't able to move normally, sit down, or get comfortable when you're sleeping you have gone too far. We saw an example of this with someone who was wanting to challenge themselves and had an interested in functional fitness. The workout ended with "Death by Burpee" which consisted of doing a burpee for each minute for up to 20 minutes. They got to 13 and had to 5 for the remaining time. This led them to being barely after to walk for the rest of the week. Obviously unpleasant but borderline dangerous and it could lead to the following condition. 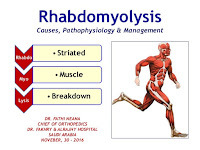 Rhabdomyolysis: This is an extremely serious condition that can happen when workouts get too extreme or intense. What occurs is when the muscle starts breaking down way too quickly from being overexerted. The result of this is the muscle fibers start dying and the resulting death releases those contents into the bloodstream. What the ultimate result can be is complete kidney failure as the kidneys are not able to remove the waste and concentrated urine. This can lead to extreme pain and complications and could potentially be fatal. It is something you can treat and handle with quickly and proper care but that must occur in a hospital as it'll take IV fluids in order to get the body to be able to begin to handle itself again. This means getting your kidneys functioning again and being able to process all the junk that your body accumulated. 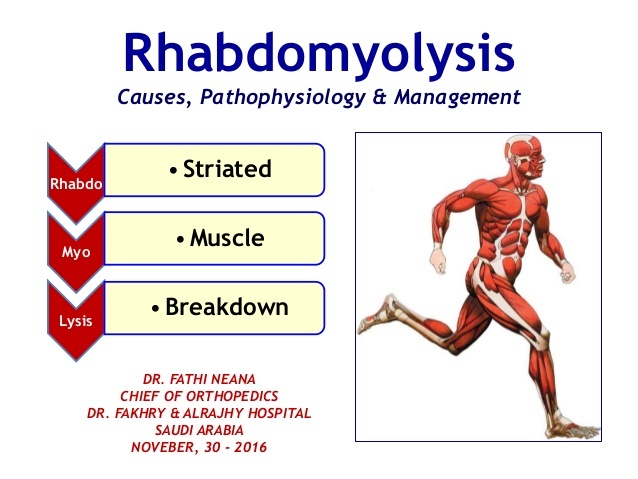 DOMS is common and can be a good thing, Rhabdo is not and shouldn't be something you ever deal with. Remember, anyone can work you out and make you sore, that isn't hard. It take a lot of hard work and planning to set up training to reach your goals and do so in a safe and efficient manner. Have a great workout.